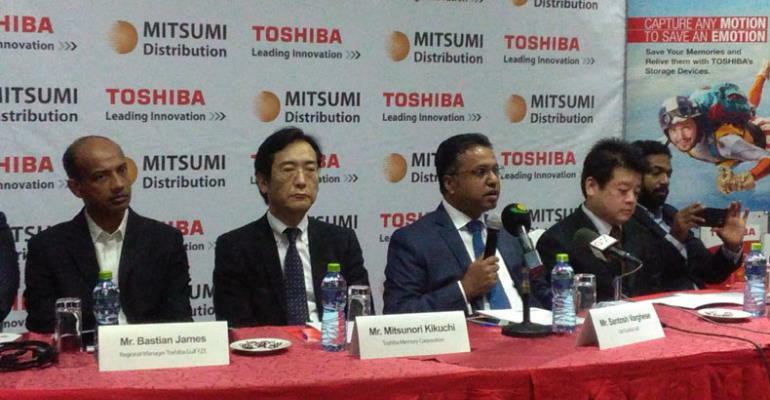 Toshiba Gulf FZ (TGFZ) and its distribution partner Mitsumi have indicated they have started embarking on in-country operations in Africa to help develop their respective markets. In Accra, this was highlighted by the 'Toshiba Channel Connect Event,' which took place on Tuesday at the Alisa Hotel as part of its 'Go Africa' strategy. A lot of its local channel partners were in attendance. They had opportunity to interact with other delegates from Toshiba Memory Corporation such as Mitsunori Kikuchi and Hiroaki Tanaka, who announced the Toshiba Storage Strategy. Mr Varghese also complained about the high influx of fake Toshiba products and accessories on the African market and pledged to work hard to hold that in check. Toshiba is a 142-year-old company which started its hard disk drive business in 1967. As a pioneer in the NAND business, it's the second largest NAND producer in the world. As part of its CSR, it has announced an initial $20,000 package in four African countries, including Ghana.